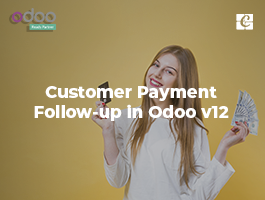 Upselling and cross-selling are two important techniques used in Odoo e-commerce for the purpose of increasing business revenue. Both the techniques even though similar in their names, they are not similar when it comes to their functionality. 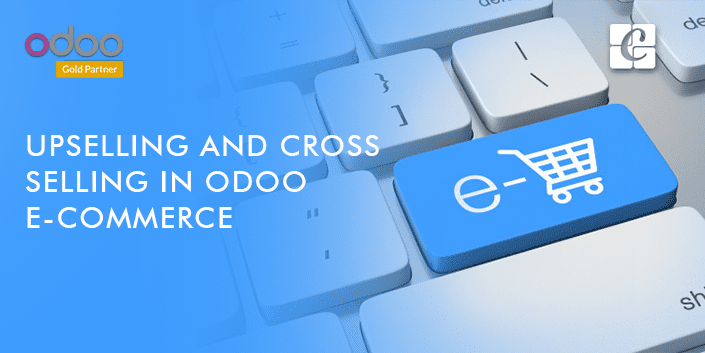 In this blog, we will discuss how upselling and cross-selling are made possible in Odoo ERP software. In upselling, what the seller generally does is that he will encourage the customer to go for a higher end product which is more costly compared to the base variant. The added feature on the base variant will sometimes be just luxury add-on, but the seller will try to make sure that the customer ends up in buying the higher variant itself. The examples of mobile phones can be taken into consideration here. Most phones will have a base variant and a top variant. 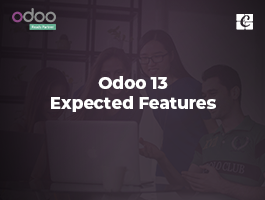 The maximum marketing and promotions will be given to the top end variant so that customers are more inclined to that variant and ends in a good sale. This process is briefly called as upselling. Now when it comes to cross-selling, it is a method of selling co-products or accessories along with the main product. This too will come under the marketing gimmicks section. In e-commerce websites particularly we can see if we are up to buying a product, there will be some extra products along with our main product under a tagline called “things usually bought together”. For example in the case of mobile phones, the co-products can be screen guards, headphones, VR box etc. 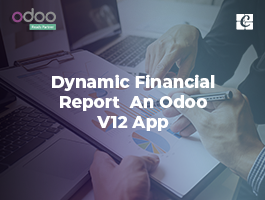 Odoo ERP enables the provision for both up-selling and cross-selling. 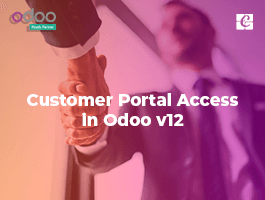 In this blog, we will discuss how upselling and cross-selling is made possible in Odoo/Open ERP software. Go to the sales tab of the product detail form. From there select alternative products. Try not to push the number of alternatives above three to avoid confusion in the customer side. Here the suggested products space is where we will include the extra variants of the products for carrying out upselling. 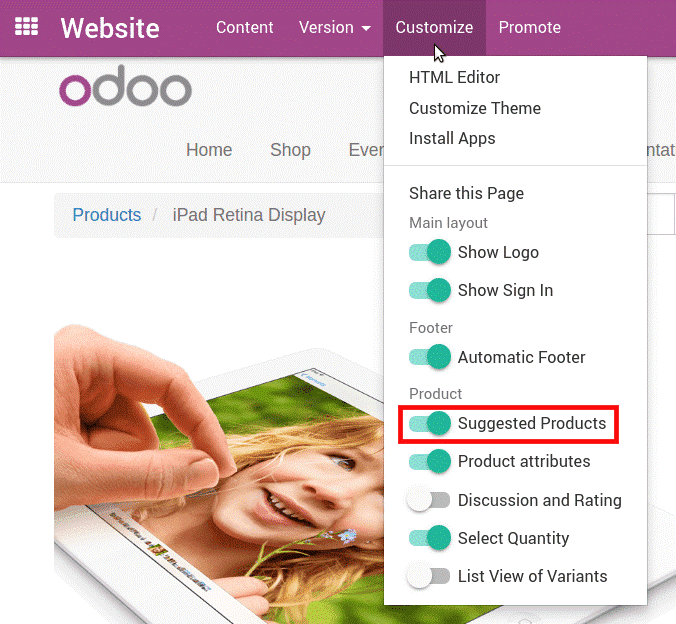 Now go to the customize menu of the product web page and then turn on alternative products. While cross-selling is considered there are two kinds of extra product sets to be considered. They are accessory products and optional products. The accessory products are found on the checkout page and optional products are found on a new addition to cart screen which is not installed by default. Go to the product detail page, from there on the sales tab select accessories. Here you can add your accessory products. In case if there are many accessories added to the cart, an algorithm is there to find out the best accessory. Unlike accessories, optional products are directly related to the main product. For example warranty, additional components etc. Here when we add the main product to the cart a pop-up screen showing the optional products will appear. In the apps menu, install e-commerce optional products. To allow search on add-ons rather than the main app, only remove the default filter. Now go to the product detail form, from there in the sales tab select the optional products option and add the optional products. Here the quantity of the main item and quantity of optional items added to the cart will be the same. 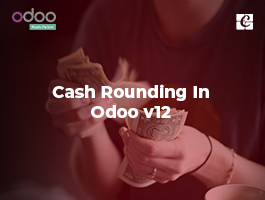 This is how we include upselling and cross-selling options in Odoo e-commerce.